Fear for Sale: The Mystery of McInroy Manor Collector's Edition is rated 3.8 out of 5 by 26. Rated 5 out of 5 by pennmom36 from Fear For Sale: The Mystery of McInroy Manor CE Emma Roberts has been sent to the haunted McInroy Manor to cover an exclusive story for the Fear For Sale Magazine. Within minutes of her arrival, the lady of the house introduces herself as Lady Averill McInroy. Yep, you guessed it, she's been dead for 80 years now! Lady Averill first met Lord McInroy after he had fallen from his horse, breaking both legs and three ribs, as she diligently and tenderly nursed him back to health. Lord and Lady McInroy were happily married for six years, until that tragic day they were found dead, along with all the servants! But that was almost a century ago, now an evil presence lurks within the Manor's grounds, a presence that binds their spirits to the afterlife. I'm a huge fan of the Fear For Sale series, but for whatever reason, I overlooked this first episode, as well as the second, and I cannot wait to find out more about the McInroy family! For an older game, the graphics are still pretty decent, which would have been over the top in it's heyday. There aren't any frills, no Morphs or Collectibles, but the storyline makes up for it. The Collector's Edition only has 8 Achievements to earn, but most of them are done as percentages, for example, each HOS you complete without a hint will keep tabs such as 6/31 HOS completed without using a hint. 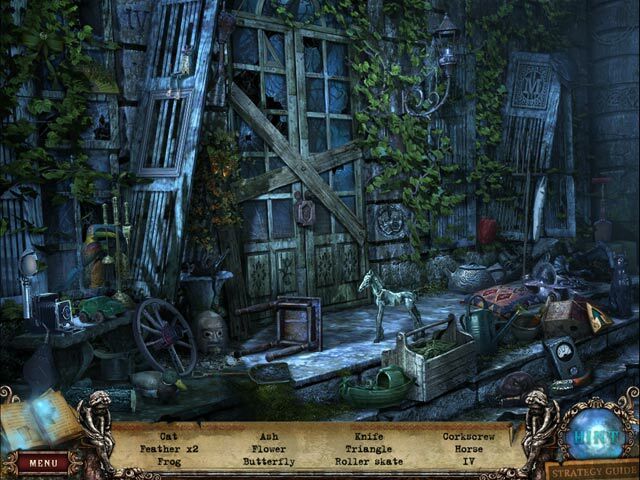 The Hidden Object Scenes are just simple listed items with no interactions required, some items are multiples such as 3 fish, 2 crosses etc. The scenes are dark enough to be creepy, but bright enough to make items recognizable. The Mini Games are entertaining, such as turning several tokens with different shaped connectors, to allow the electrical current to flow freely from one end to the other. This Collector's Edition has 8 Achievements, Screensavers, Wallpapers, 31 Hidden Object Scenes, 15 Puzzles, Music, Concept Art, a built in Strategy Guide and a Bonus Chapter, enjoy! Rated 5 out of 5 by wert45 from the most excllent game ever It was excellent and I tell you to buy it! Rated 5 out of 5 by sapoe from good for me First, I don't care about negative reviews in this game. For me, it's truly fun game. Sometimes, I get bored playing games with so many HOS. This game can balance it. It's not usual so I don't get bored easily. Thanks dev, I love it and god job! Rated 5 out of 5 by Jem_Jerrica_Guy from as others have commented Hidden objects are too dark and hard to see, but since this is the first in a series, this is acceptable as a developer's debut. The suspense kept me going until the end. Rated 5 out of 5 by Hookedonbigfish from Fear not -- an excellent game 'Fear for Sale' magazine writer Emma has to investigate the ghostly McInroy Manor after a large donation from Emma's editor enabled the Manor to be opened up to discover the suspicious demise of the family. 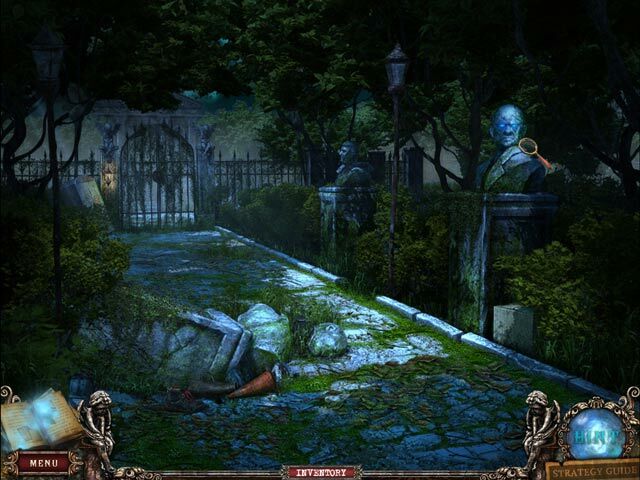 This game had the expected attributes of a typical Collectors Edition game with intrigue, suspense, mystery and drama. The story line followed the tragic demise of a family, coupled with the loyalty of the faithful butler and the cowardice of the family physician, with a multitude of twists, turns and surprises during the game. The music added to the plot and excentuated the mood of the situation which included the hoot of an owl and claps of thunded etc. The dialogue was not excessive and the notes in the diary took a bit of reading but was necessary for the story. The graphics were clear, clean and colourful in comparatively dull surroundings but this added to the kind of macabre atmosphere portrayed by the authors. The puzzles did not pose a great deal of difficulty and were intriguing and interesting to solve. 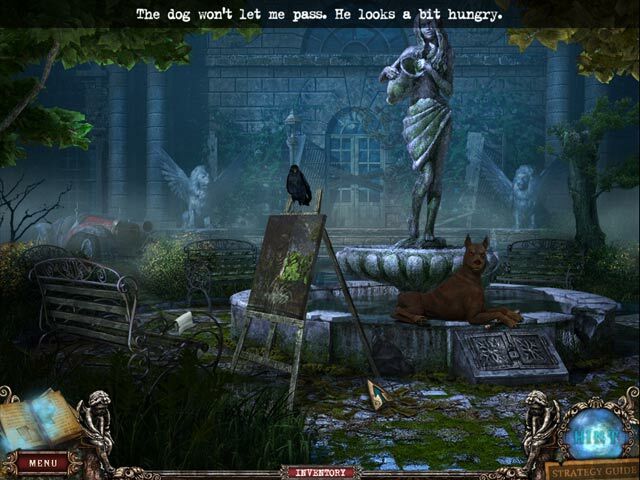 You could achieve a higher rating at the end if you did not skip any puzzles which was the same for the hidden objects. These were quite clear and reasonable to locate, some needed a bit more searching but minimal use of the hint button ensured a better achievement rating. Great game --well worth the money, it was addictive. Rated 5 out of 5 by christinemarie09 from Loved it! I absolutely love the ominous feeling and game play!! Rated 5 out of 5 by wahyukusuma from Challenging and Fun Games I love this game. Make more sequel to this game. Rated 5 out of 5 by mspaws from Even I figured this one out! I am not much of an adventurer, but this game kept my interest and I did not get frustrated with it. VEry fun, graphics wonderful, HOS very well done!